Psychosolodiver.com offers several high quality SCUBA diving services available to equipment manufacturers, recreational divers, dive organizers and charter boat owners. Are you a manufacturer of high quality SCUBA gear that would like a detailed and unbiased review of your product in real world conditions? I’ll use it on one of my next dives and post an extensive review of performance, comfort and any thing else worth mentioning. Note: This is a free service, but I am unable to return any equipment that you send me. Are you a wealthy millionaire, or even billionaire, that is considering going on a diving trip, but are too important and busy to take a chance on the quality of the travel, accommodations and diving? Maybe you are a charter boat owner, or dive organizer that is in need of feedback? Psychosolodiver.com offers a trip review service! Send my girlfriend and me on the trip first and we will give you full and detailed reports of how the trip was. I will grade the travel and diving and my girlfriend will grade the accommodations and meals. 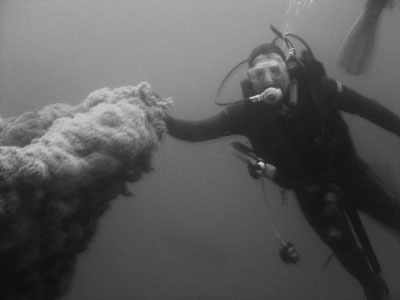 Dive trips are limited to nondecompression recreational limits. Deposits, payments and availability are reviewed on a case by case basis.